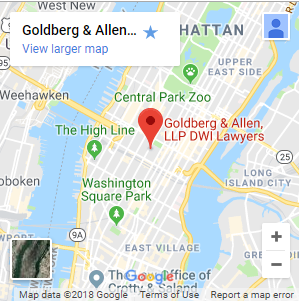 The New York City police department rarely uses field coordination tests to determine whether a person is driving under the influence (DUI) or driving while intoxicated (DWI). However, they may ask you to submit to a portable Breathalyzer test. If you have been stopped for suspected drunk driving, it is imperative to consult with an experienced criminal defense lawyer right away. 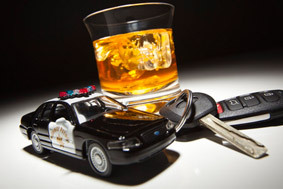 Simply pleading guilty to a DUI/DWI charge can have lifelong consequences. Our attorneys offer the assertive, detail-oriented representation you need to protect your rights both now and for the future. Contact us for a free consultation about your options. If you refuse an SD-2 portable Breathalyzer test, you may be asked to take a chemical Intoxilyzer test to determine your blood-alcohol content (BAC). Refusal to submit to this chemical test carries an automatic one-year driver’s license suspension and substantial fine, subject to a hearing. Therefore, if you refuse the test, you will prevent possibly damaging scientific evidence from being used against you, but you may incur significant collateral consequences. Our lawyers have successfully challenged chemical test results and had them dismissed based on the outcomes of these factors. We are not a “quick pleas, quick fees” firm, and do what it takes to defend your rights, your record and your driving privileges. If you or a loved one is facing charges for DUI/DWI based on the results of field sobriety tests, portable breath tests or other chemical tests, you need an attorney who understands that a positive reading does not necessarily mean conviction. Take action and contact us to learn how our New York City field sobriety test lawyers can defend your best interests.